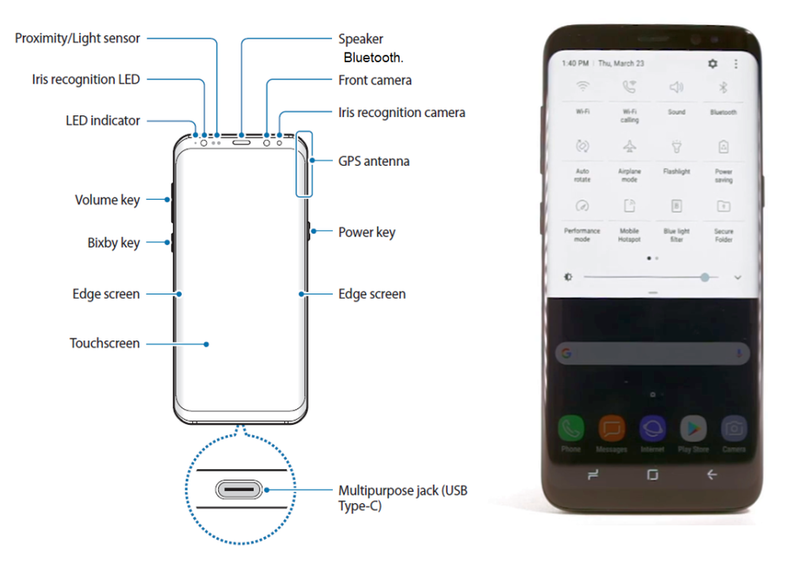 Galaxy S8 Dual Bluetooth Settings - Use Galaxy S8 Dual Bluetooth to play musics, watch movie, exchange data or media files with other Bluetooth. 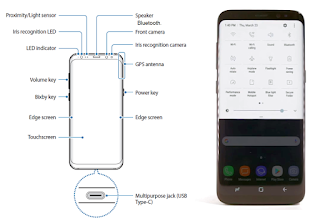 The Galaxy S8 and S8+ support dual Bluetooth will be able to work in conjunction with other devices, such as TV, headsets or speakers. Samsung is not responsible for the loss, interception, or misuse of data sent or received via Bluetooth. So, always ensure that you share and receive data with devices that are trusted and properly secured. If there are obstacles between the devices, the operating distance may be reduced. Samsung is not responsible for the repercussion of illegal use of the Bluetooth feature, some devices, especially those that are not tested or approved by the Bluetooth SIG, may be incompatible with your device.So, do not use the Bluetooth feature for illegal purposes (for example, pirating copies of files or illegally tapping communications for commercial purposes). On the Settings screen, tap Connections → Bluetooth, and then tap the switch to activate it. The detected devices will be listed. Select a device to pair with. If the device you want to pair with is not in the list, request that the device turns on its visibility option. Refer to the other Samsung Galaxy S8 user manuals. Accept the Bluetooth connection request on your device to confirm. The devices will be connected when the other device accepts the Bluetooth connection request. Many apps support data transfer via Bluetooth. You can share data, such as contacts or media files, with other Bluetooth devices. The following actions are an example of sending an image to another device. Launch the Gallery app and select an image. Tap Share → Bluetooth, and then select a device to transfer the image to. If your device has paired with the device before, tap the device name without confirming the auto-generated passkey. If the device you want to pair with is not in the list, request that the device turns on its visibility option. Accept the Bluetooth connection request on the other device. You can connect up to two Bluetooth audio devices to your smartphone. Connect two Bluetooth headsets or speakers to use them at the same time. 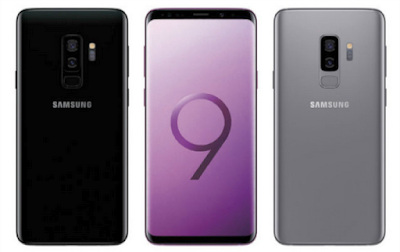 To use this Gaaxy S8 feature, the Bluetooth audio devices you want to connect must support the Media audio feature. Tap → Dual audio, tap the switch to activate it, and then tap the Back button. If the device you want to pair with is not in the list, turn on its visibility option or enter Bluetooth pairing mode on the device. Tap next to the connected device and tap the Media audio switch to activate it. Select another device from the list and activate its Media audio feature. 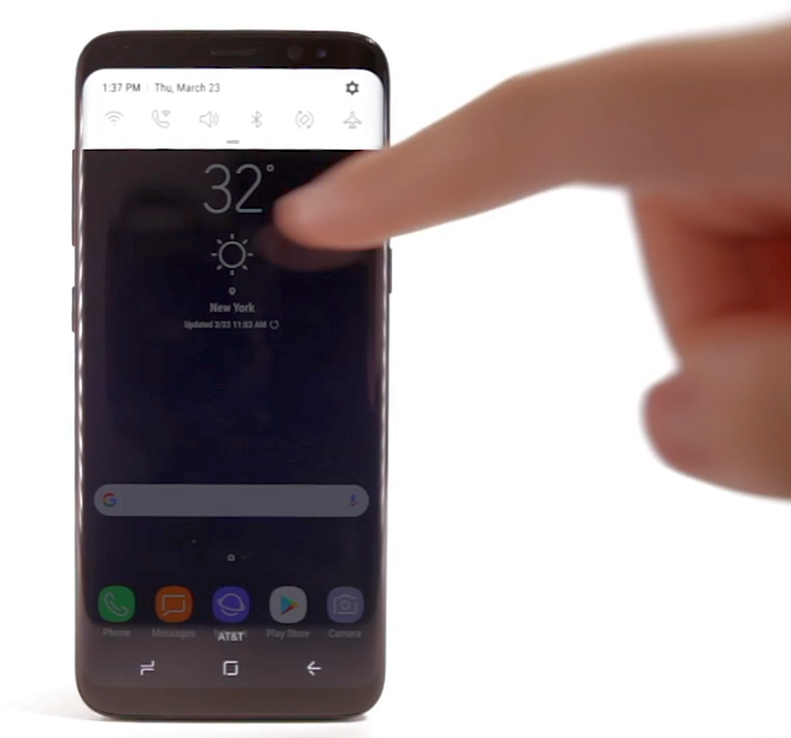 The Galaxy S8 displays the paired devices in the list. Tap next to the device name to unpair.